-SG- ...when it's a Scott! 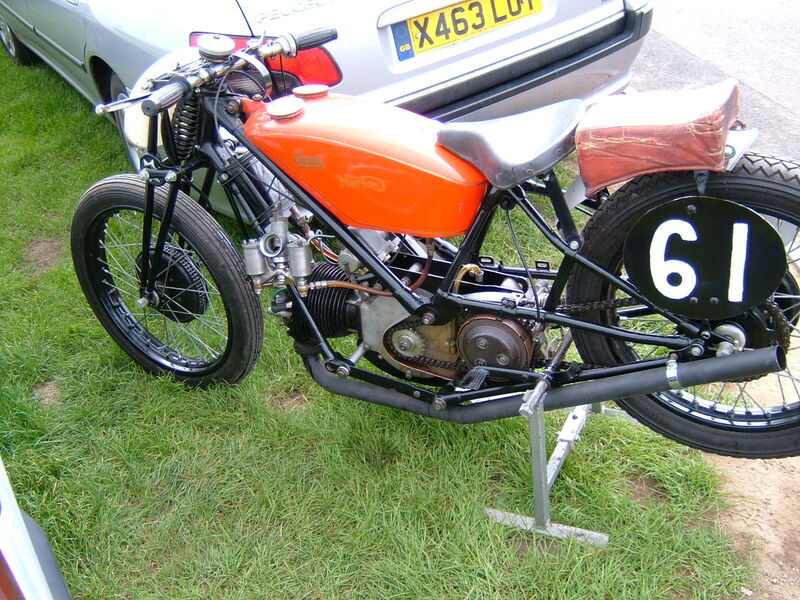 In the late fifties and early sixties, and before the VMCC in UK was organizing its own race meetings, we had to rely on the goodwill of other organizing clubs to include a Vintage class in their race programs. None the less, the VMCC had a set of rules by which would-be racers had to abide, which basically forbade use of any post 1930 (visible) parts. 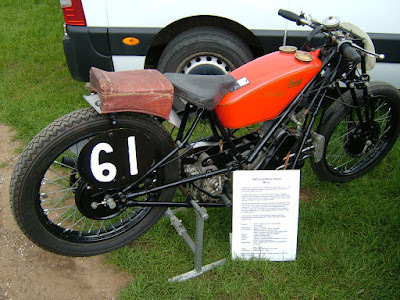 Those who appeared with later bits and pieces fitted were allowed to ride but were warned that if they finished well up, they would be excluded from the results! Strangely, in some ways, it was permissable to use dual braking on the front wheel. 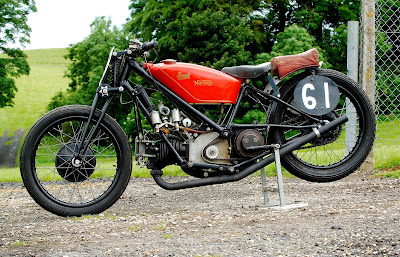 Bob Collett, who started racing in the late fifties on a Model 18 with rather dubious handling, hit on the idea of installing a Vintage Norton engine in a 1929 Scott frame, and having checked with the VMCC hierarchy that it would be allowed, the plan went ahead. His Scott - Norton appeared on the scene in 1962 and was a great success in Bob's capable hands, and later, those of Steve Lindsdell. Bob still owns the bike and he/it appeared at the recent Cadwell Park meeting - looking, and sounding, just as I remember it. I have been promised a sheaf of photos of the bike but for the time being those attached will have to suffice. The engine incidentally is a mid 1930 ES2 unit while the period LS gearbox has a neat positive stop footchage mounted on the back of the casting - no room to put it anywhere else. During its racing years it was run on methanol but is now set up for petrol with a type 29 Amal.